Storm drains found along city streets allow rainwater to quickly rush away from the pavement. After entering the stormwater system, the water is eventually discharged into local waterways such as Stinson Creek. This means that any other material such as oil and grass clippings that enter the storms drains will also find its way into the creek, which could endanger local aquatic life. 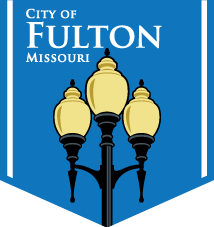 In an effort to reduce the amount of waste and pollutants entering the City of Fulton’s stormwater systems, decals and stencils are available to remind residents about dumping. No dumping decals can be placed on top of the curb and behind the storm drain. It includes a phone number to the Missouri Environmental Emergency Response Team to report a spill in the area. Also available to residents are stencils that read “Dump No Waste, Drains To Streams” and includes the outline of a fish. The image is spray painted onto the pavement, in front of a storm drain, as a friendly reminder to the community. Anyone looking to assist in attaching decals to curbs or stenciling pavement can pick up supplies from the Engineering Department at City Hall. Staff will instruct how to properly affix the decals and stencils. All equipment used must be returned to City Hall. Call 573-592-3111 or email streamteam@fultonmo.org with any questions.